How to be a Successful Coach - Winning Advice From Denis Pagan That Will Make You a More Successful Coach No Matter What Your Sport. Discover how Denis motivates his players for the big occasion. Throughout the coaching series you will receive additional video based training, similar to the above, showing practical examples of how Denis puts his training methodologies into action. 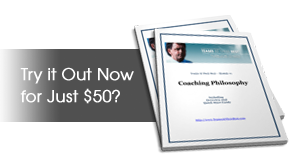 You will get immediate access to the first online coaching module today. YOU WILL RECEIVE YOUR FIRST MODULE INSTANTLY - You will then receive an email every 7 days from the day you join with a download link for your weekly .PDF module. Your Money Will be Returned, No Questions Asked if You Are Not Totally Happy.